Want to feel like an NBA star? 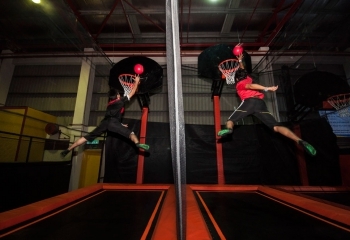 Fly through the air and slam dunk that basketball! 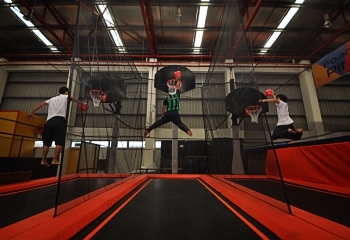 Or really show off with your friends and show us your alley-oop.At Jump Street our trampolines mean that anyone can slam dunk. 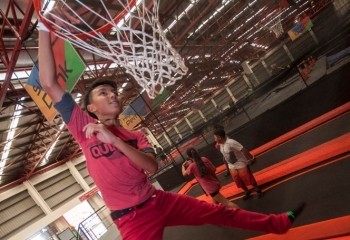 We’ll have three hoops, fixed at different heights, so kids and adults can experience what it’s like to be LeBron James. 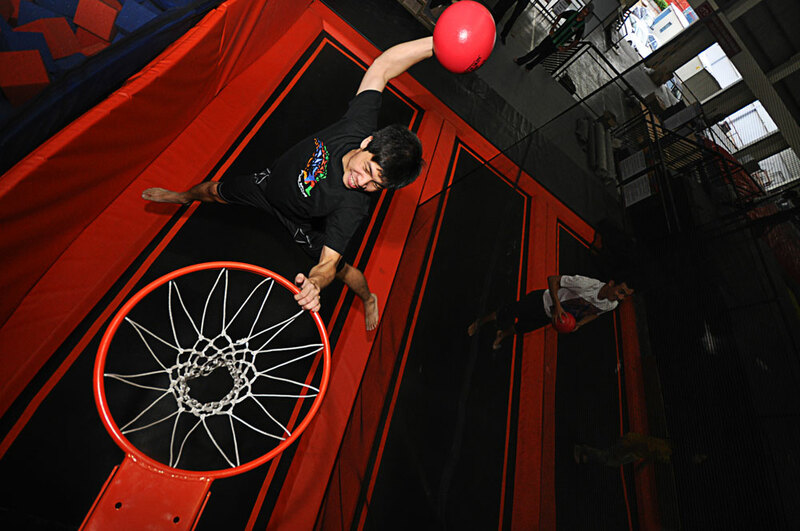 Get practising for our awesome Slam Dunk Challenge tournaments, coming later in 2014.